Erik Karlsson had three assists to extend his point streak to 13 games and set a franchise record for the San Jose Sharks in a 3-1 win against the visiting Los Angeles Kings on Monday. Joonas Donskoi, Tomas Hertl and Joe Thornton scored for the Sharks, who have won five of six. 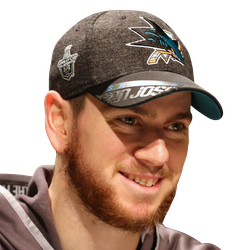 Martin Jones made 22 saves and also assisted on Hertl's goal, improving to 11-3-3 in his career against Los Angeles, his first NHL team. Karlsson became the first NHL defenseman since Phil Housley of the Winnipeg Jets in 1992-93 to record at least one assist in 13 consecutive games. He broke the franchise's record for longest point streak, which had been held by Rob Gaudreau (1992-93) and Jonathan Cheechoo (2005-06). 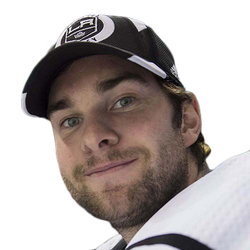 Anze Kopitar scored for the Kings, and Jack Campbell made 26 saves. Hertl gave the Sharks a 2-1 lead at 9:09 of the second period. Jones sent an outlet to Karlsson, who made a long stretch pass to Hertl, who was entering the Los Angeles zone. Hertl drove to the net with Kings defenseman Jake Muzzin on his hip and lifted a backhand shot high into the short side of the net for his 15th goal of the season. Thornton scored into an empty net for a 3-1 lead with 21 seconds left. Karlsson got the first scoring play started when he tried to send the puck toward the Los Angeles net from the blue line, but it was partially deflected. The puck flew in the air toward Los Angeles forward Dustin Brown. He tried to corral the puck with his legs, but it caromed sideways to San Jose's Evander Kane in the slot. Kane took a quick shot that was saved, but Donskoi was in position to score the rebound for a 1-0 lead at 17:43 of the first period. The Kings tied the score 1-1 at 3:42 of the second period. Kopitar brought the puck into the center of San Jose zone and then left it for Brown, who was trailing. Brown cut into the right circle as Kopitar drove to the net and then centered a pass that Kopitar redirected into the net. Kopitar moved into a tie for the team lead with his 11th goal, matching Brown's total.